“When celebrating creative achievements across Northern Ireland we want to make sure that PANI too adopts a creative approach to its awards gala. 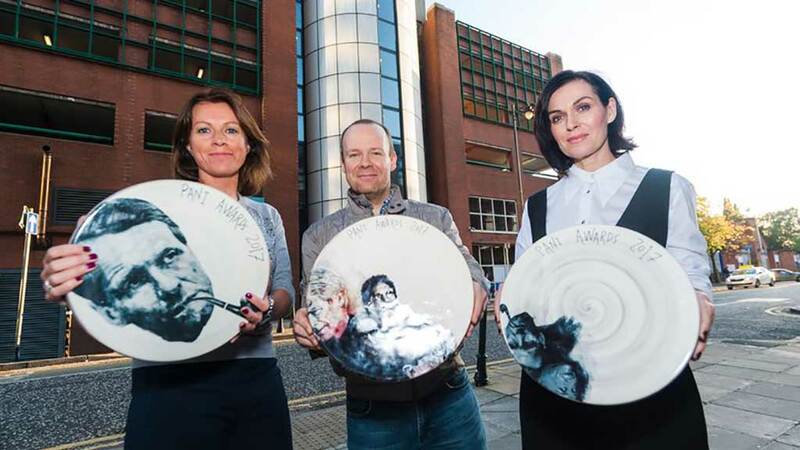 Incorporating this year’s theme of ‘The Greatest Icons of Advertising’, Stephen’s award design – the red earthenware deep-sided dish – will bear local artist Peter Strain’s instantly recognisable illustrations featuring some of the ‘greats’ from the advertising world. Talking through the process, from initial design to creating the dish, Stephen describes the development of the bespoke award as a fitting creative journey. “This is my third time working with the PANI team to create their awards and each year is a new challenge. I wanted to create an award that complements the creativity and excellence of each winning campaign, but one that is also domestic and functional. “The brief was simple – to take Peter Strain’s iconic style and striking artwork for the 2017 PANI Awards and incorporate it into the awards themselves. It is very much a case of the pottery acting as the canvas for the illustrations. “The awards we are creating take approximately 4-6 weeks to complete. Each individual award starts off as a 2kg of ball of soft red clay, it is hand thrown on the potter’s wheel and then has a white slip applied before glazing and final decoration.